It took me long enough to get around to this point, but I finally got the rear shackle mount where I wanted it (I think). 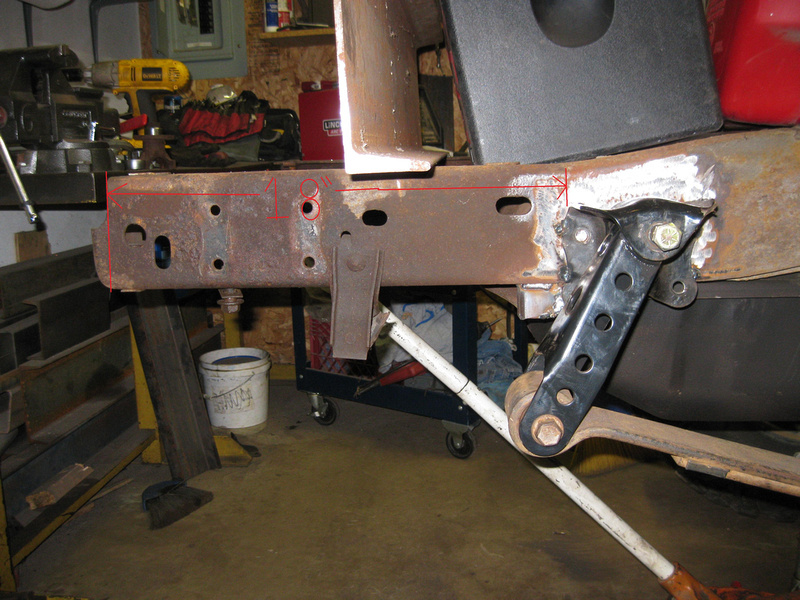 I started out using the spare tire carrier holes as a base line for locating the rear mounts. 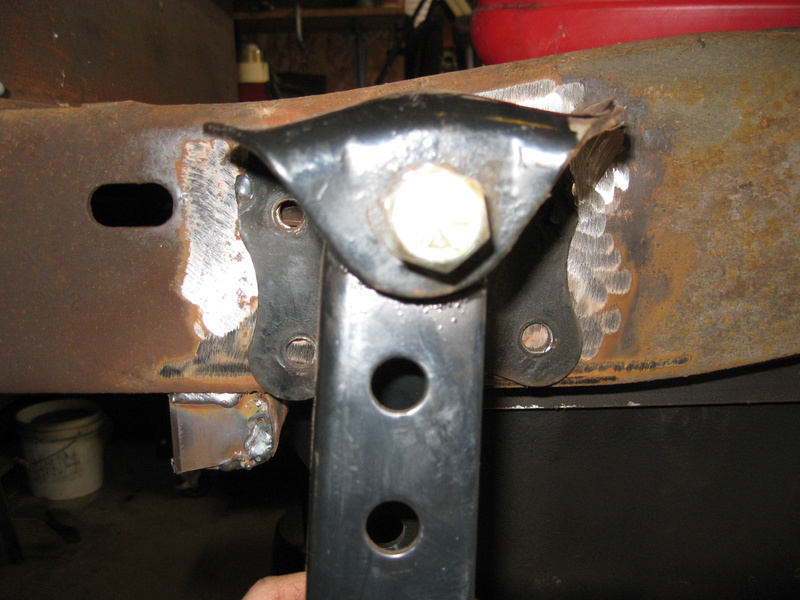 It turns out that they’re spaced perfectly in relation to my front mounts to get me the correct shackle angle.